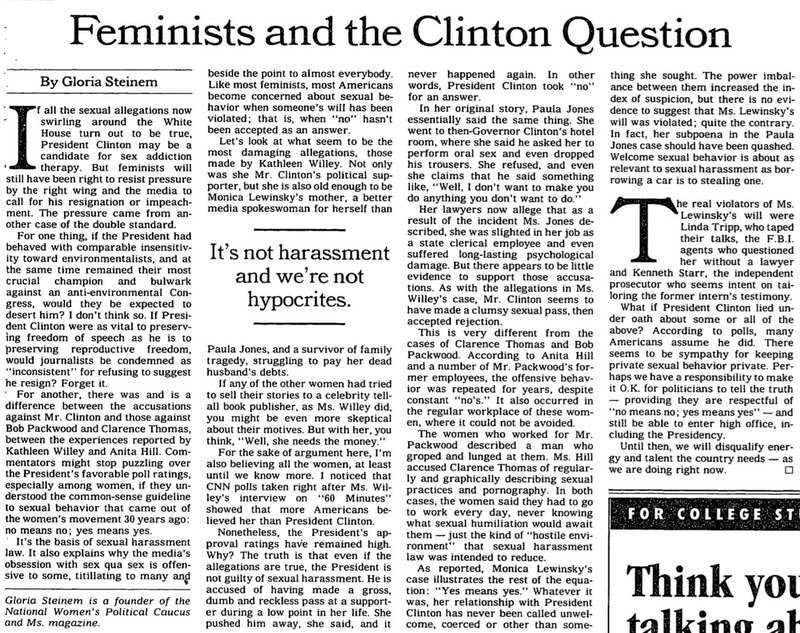 Has the New York Times Made Gloria Steinem’s Original 1998 Defense of Bill Clinton Disappear? 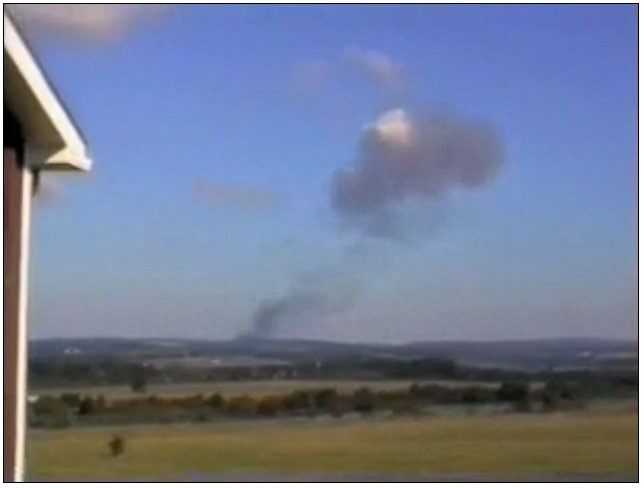 The Associated Press’s failure to report Gloria Steinem’s Wednesday howler about how Donald Trump supposedly “lost” the 2016 presidential election “by 10 million votes” which I noted in a Sunday NewsBusters post is consistent with the press’s history of preventing leftists’ most provocative and controversial statements from becoming widely known. The press considers Steinem a feminist “icon,” and thus especially worthy of protection. In preparing that post, I discovered that the New York Times appears to have taken their protection of Steinem to an unusual level. Steinem sent her feminist credentials into the toilet in March 1998 when, in a Times op-ed, she defended Bill Clinton against the charges which eventually led to his impeachment later that year. 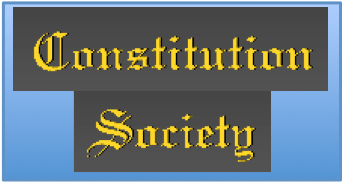 The link to that op-ed in the previous paragraph was found in a public library database. That’s because I couldn’t locate it in multiple searches at the Times website. If the Times is indeed protecting Steinem, this is how they’re doing it. In 2010, the Times published a highly selective excerpt from that 1992 op-ed (also stored here for those who don’t have a Times login). 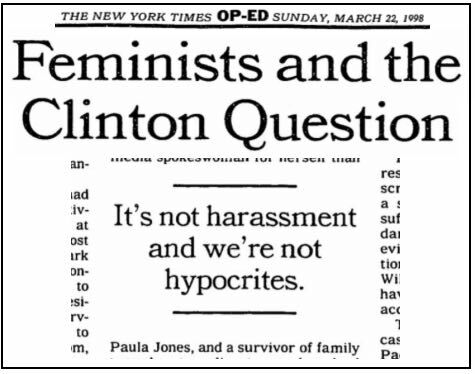 That six-paragraph excerpt, with the title changed from the original “Feminists and the Clinton Question” to “Why Feminists Support Clinton,” excluded not only Steinem’s bitterly personal attacks against Kathleen Willey, Paula Jones, and Linda Tripp, but also her laughable assessment of Willey’s and Jones’s then-known allegations against Clinton. Steinem’s core claim was horse manure then, and is even more obviously so now. Steinem’s original 1998 op-ed appears to be no longer accessible at the Times’s website; at the very least, it is not readily accessible. Searches on the op-ed’s published title (“Feminists and the Clinton question”), the 2010 title (in case the original title carried online might have been the same), its opening seven words (“If all the sexual allegations now swirling”), and on “Gloria Steinem Bill Clinton” all failed to list that original op-ed in their results (all searches were done without quote marks). The final search just noted surfaced about a dozen letters to the editor responding and mostly objecting to Steinem’s now-inaccessible op-ed — but not the op-ed itself. … Steinem said she did not regret writing the New York Times article in the first place. “We have to believe women. I wouldn’t write the same thing now because there’s probably more known about other women now. I’m not sure,” she said on the red carpet of an annual comedy benefit for the Ms Foundation for Women, of which she is a founder. This has nothing to do with different decades, and everything to do with double standards. In Gloria Steinem’s warped mind, defending a Democratic Party president with a demonstrated, proven history of sexual assault and harassment — as was clear by March 1998 in court documents and voluminous evidence gathered by an independent prosecutor — even to the point of denying that the clearly harassed and assaulted accusers were not harassed and assaulted, was somehow okay then. But attacking a Republican president as “harasser-in-chief” over a litany of aired but yet-unproven charges is okay now. So Steinem, despite her drop-dead obvious hypocrisy, gets to move on, and remains a “feminist icon.” This is how easy it is for someone the feminism-friendly establishment press adores to get rehabilitated. Based on the results described above, the Times apparently expects readers to believe that its 2010 Steinem excerpt fairly represents what she wrote in 1998. It clearly does not — and, from all appearances, the Old Gray Lady doesn’t want its readers to find out otherwise. The evidence presented here inevitably leads one to wonder how many other items embarrassing to the left the Times has flushed down the memory hole through the years.